Dill, Agastache and Echinacea. Tall varieties can form a colourful hedge that attracts bees and other pollinators, and mix well with tall herbs like dill and fennel. 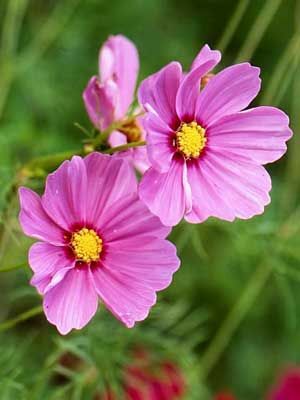 Varieties vary greatly in height, colour and flower form. Choose dwarf varieties for tight spaces. Sulphur cosmos (C. sulphureus) thrives in humid heat.